Beard, William and Paul Williams. "Anne Wheeler". The Canadian Encyclopedia, 08 December 2017, Historica Canada. https://www.thecanadianencyclopedia.ca/en/article/wheeler-anne. Accessed 19 April 2019. Dorothy Anne Wheeler, filmmaker, producer, director, writer (b at Edmonton 23 Sept 1946). Anne Wheeler received a Bachelor of Science in mathematics from the University of Alberta in 1967 and had some experience as an actor before making her first film in 1971. She made documentaries for the National Film Board as a freelancer in the late 1970s and joined the board's Prairie region as a staff member from 1978 to 1981. From this period dates the highly acclaimed A War Story (1981), a documentary-docudrama based on Wheeler's father's diaries as a Japanese prisoner of war. Subsequently, Wheeler made a number of short dramatic films, notably A Change of Heart (1984, scripted by Sharon Riis), and then moved successfully into feature films with Loyalties (1986, also scripted by Riis) and Cowboys Don't Cry (1988, based on a book by Canadian children's novelist Marilyn Halvorson). Bye Bye Blues (1989) has been her most successful film to date, winning 3 Genie Awards and enjoying considerable commercial success. Wheeler followed with another children's film, Angel Square, in 1991. 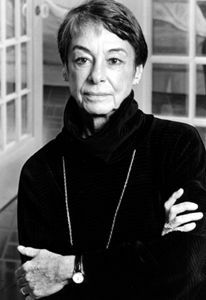 In 1992 she filmed an adaptation of Margaret Laurence's novel The Diviners, the first of a fine series of large-scale dramatic projects for CBC television that continued with the socially conscious The War Between Us (1995, about Japanese-Canadian internees during WWII) and The Sleep Room (1998, dramatizing the CIA-funded LSD experiments on mental patients in Montréal during the 1950s). Subsequent features included the art-house success Better Than Chocolate (1999), the family drama Marine Life (2000), the revisionist romance Suddenly Naked (2001), and the feminist period drama A Wilderness Station (2002). Wheeler continued her success on the small screen with varied work on both dramatic and situational comedy television series, directing numerous episodes of the chaotic courtroom farce This Is Wonderland (2004-06), and of Cra$h & Burn (2010), the cynical yet alluring series about corporate liability, told from the point of view of a particularly troubled loss adjuster. As always, Wheeler's most interesting work revolved around Western Canadian narratives and characters such as those found in the unremitting police drama Da Vinci's Inquest (1998-2005), and in Godiva's (2005-06), a fast-paced situational comedy set within Vancouver's rakish Yaletown restaurant district. Her involvement in the pilots for Da Vinci's Inquest, The Adventures of Shirley Holmes, Jake and the Kid, and Cra$h and Burn set the directorial style of those successful series. In 2006, Wheeler returned to family fare with the seasonal treat Christmas on Chestnut Street (2006), which earned her a Leo Award nomination for best direction in a feature-length drama. She later won this award for the medical drama Living Out Loud (2009), an affirmative depiction of breast cancer's disruptive influence on the members of one Canadian family and their struggle to reevaluate their core values when they nearly lose their mother. She has directed multiple episodes of the Canadian-American thriller Endgame (2011), the World War II period drama Bomb Girls (2012), the Northern adventure series Arctic Air (2013) starring Adam Beach, and a movie of the week titled The Bouquet (2013). Wheeler has also created movies of the week for the American networks Hallmark and Lifetime. 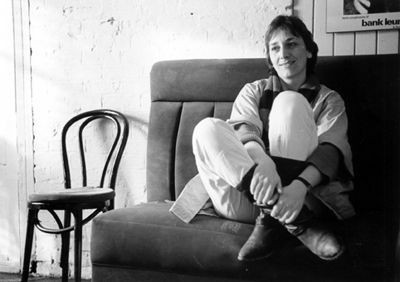 Her films are distinguished by a sensitivity to human problems, both social and personal, and a clear-eyed optimism. Anne Wheeler has been bestowed with honorary doctorates from the University of Alberta, University of Calgary, University of Lethbridge, Athabasca University, University of Winnipeg and Brock University. In 1995 she became an officer of the ORDER OF CANADA.